Elizabeth Ernst spends an enormous amount of time creating the characters in her work. She begins the process by sculpting a figure with polymer clay or found objects. 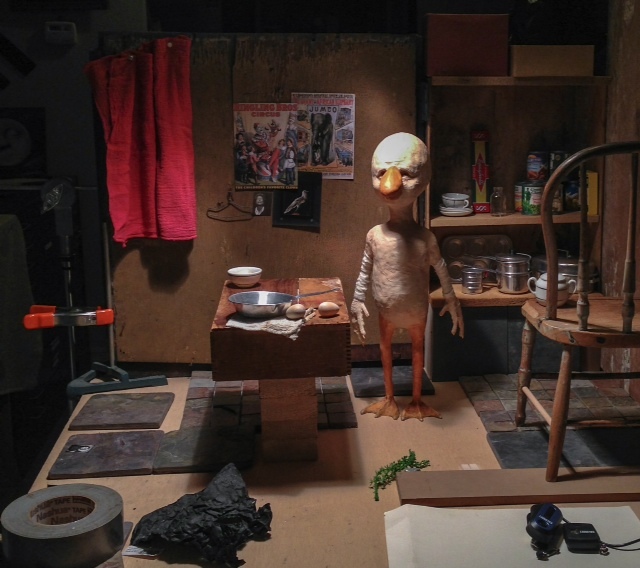 She then photographs the figure, either secluded with jarring lighting or within a constructed environment, such as in Gus in His Kitchen preparing to cook an egg or The Junk Collector sitting amongst his metal parts. In the final component of the process, Elizabeth applies paint to the photographic surface and creates a written story for each character. 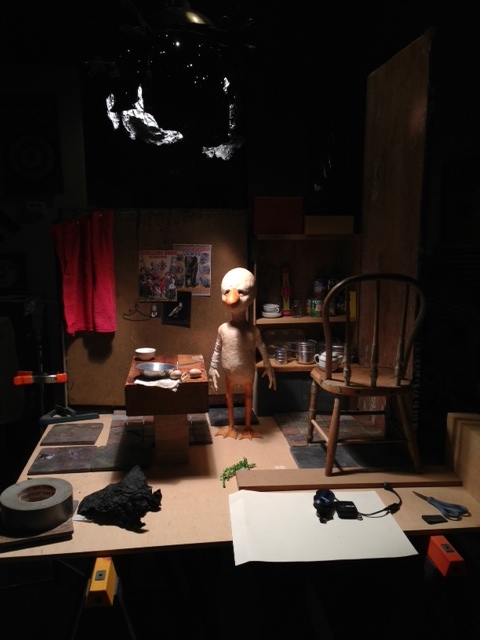 Elizabeth kindly shared with CEG two behind the scenes images of Gus In His Kitchen, 2014 to help us better understand her process, the scale of the figure and her ability to create spaces for her characters to live within. In the following video clip, Elizabeth discusses Gus In His Kitchen even further. Stop by the gallery before July 3 to see the completed piece in person. < Previous Happy Father’s Day from CEG!